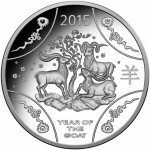 The 2015 Year of The Goat $1 Silver Proof Coin is Struck at the Royal Australian Mint. 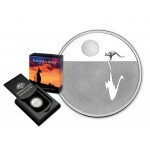 Housed in .. 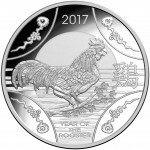 The 2017 Year of the Rooster $1 Silver Proof Coin is Struck by the Royal Australian MInt. Ho.. 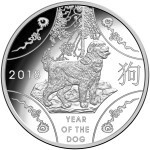 The 2018 Year of the Dog $1 Silver Proof Coin is struck by Royal Australian Mint. Housed in .. 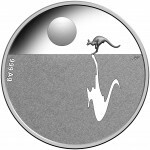 The 2018 Australia Kangaroo at Sunset Silver Proof Coin is struck by the Royal Australian Mi.. 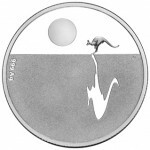 The 2014 Australian Kangaroo at Sunset Silver Coin is Struck at the Royal Australian Mint. H.. 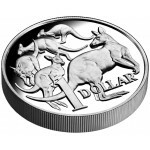 The 2014 Australian $1 Silver High Relief Mob of Roos Coin is Struck at the Royal Australian.. 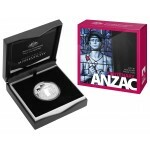 The 2015 $1 Australian Silver Proof Centenary of Anzac Coin is struck at the Royal Aus.. 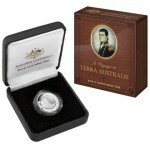 The Popular $1 Silver Proof Coin Series for 2014 is themed " A Voyage to Terra Australis". .. 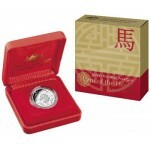 The 2014 Year of the Horse $1 Silver Proof Coin is struck with 99.9% fine silver, housed in .. 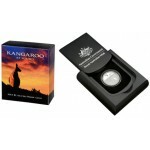 The 2013 $1 Fine Silver Kangaroo at Sunset Proof Coin is struck at the Royal Australian Mint.. 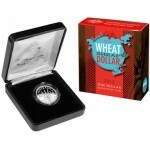 The 2012 Australian One Dollar Proof Coin was struck at the Royal Australian Mint. ..